New Moon in Aquarius | February 13, 2010 – Diplomacy without Overindulging! 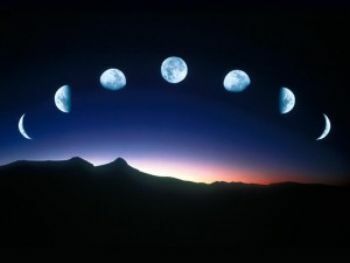 The New Moon in Aquarius will occur on Saturday, February 13, 2010 at 9:53 pm E.D.T.. The Moon in Aquarius is considered “Fixed”, meaning that the energy is stable and unchangeable. Aquarius is an Air sing, so it deals with the intellect and mental facilities. The New Moon in Aquarius is a perfect time to work out the minute details of a candle spell. This is the time to “tweak” and “get the bugs” out of any step of a ritual that you want to perform. The Moon in Aquarius is an excellent time to focus on improving your psychic development and the powers of E. S. P.. Burning purple candles anointing with “Psychic Vision” Oil would be beneficial during this time.Choosing a routine of meditation is perfect at this time as it is more favorable that you will continue with it after the Moon has waned. This is also the time to try out anything new and different but to make sure you are cognizant of the effects of doing innovative things and the ‘ripple effect’ it may have with others around you. The New Moon is always a good time for burning “drawing in” or “positive” candle spells. This is the time for burning green candles anointed with “Money Drawing”, “Prosperity”, or “Wealthy Way” Spiritual Oils or burn red candles for passion or pink candles for romance to draw love anointed with “Look Me Over”, “Fire of Love”, or “Kiss Me Now!” Condition Oils. Do this especially on February, 14th – Valentine’s Day. The message of the New Moon in Aquarius is perfect with refurbishing and redecorate, but do it modestly and without going over budget. The planet of energy, Mars, is still in its’ retrograde mode, so calm changes to your personal space is not drastic and ostentatious. The next Full Moon will occur on Sunday, February, 28, 2010.